Swindon-based law firm Francis George Solicitor-Advocate is expanding its conveyancing team with the appointment of Emily Peterson. Emily, pictured, joins the Old Town firm as a conveyancer, having previously worked for Southampton-based Eric Robinson Solicitors, which has 10 offices mainly across Hampshire. After studying law at Portsmouth University, gaining a first-class degree, she worked as a paralegal at Blake Morgan Solicitors in Portsmouth for a year before spending two years at Eric Robinson. 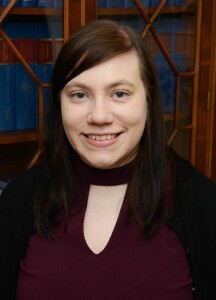 Emily joins Francis George Solicitor-Advocate’s conveyancing team at a time when the firm is experiencing a spike in new business as clients seek expert services from a trusted local provider. Senior partner Francis George said: “We are delighted to bring Emily into our team, where she will provide valuable knowledge, expertise and enthusiasm to boost the existing capabilities of our growing conveyancing function. “As a growing firm, we find that customers are extremely keen to buy and sell properties in the Swindon areas and the market is booming. However, if mistakes are made during the legal process it can have a huge impact on costs, completion time and the ability to successfully complete a transaction.